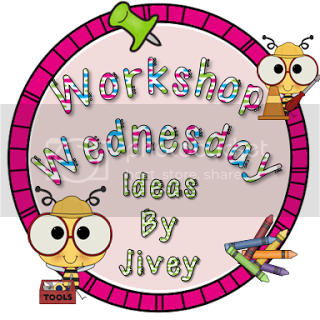 I am linking up with Jivey (author of the fabulous blog Ideas by Jivey!) to share a few ideas of my ideas/plans for my math workshop next year. Okay to start with, a little venting. We are starting a breakfast program at our school next year. Students will be provided with a light breakfast in the classroom after the bell. I understand that having a healthy breakfast is a huge help for students and totally support a breakfast program. What I am not so excited about is that it is taking place in the classroom, it will cut into my math time and because of other students' health needs we have snack time in my class again at 9:15. So students can eat at 8:30 and 9:15 and I should try to fit a little math instruction in during all this eating. My principal feels the breakfast program should take up no more than 10 minutes and can be done during the anthem and announcements but I am just not sure how that will work. So I have some serious thinking to do about what my math program will look like this year. I usually start the year doing a daily math calendar. First we do them together using the Brightlinks projector, then they do them and give me answers that I record, then a student takes over on the Brightlinks. Here is what my daily math calendar looks like. But this summer I read this amazing post by Reagan at Tunstall's Teaching Tidbits (I love her new product and wished I taught a younger grade so I could buy it and use it!). I think that I will start out modelling the page again but instead of photocopying tons of pages I will double side the calendar and put it in a pocket protector or laminate it. On Friday I may give them a paper copy and collect it as a mini-assessment. Next, I know that I have a very mixed ability group coming into my class next year. Last year I taught 1 mini-lesson then differentiated it for the my grade 3's and then the grade 4's. This year I will need to revisit using math rotation groups. I have only tried this once before, so I have a lot of work to do. 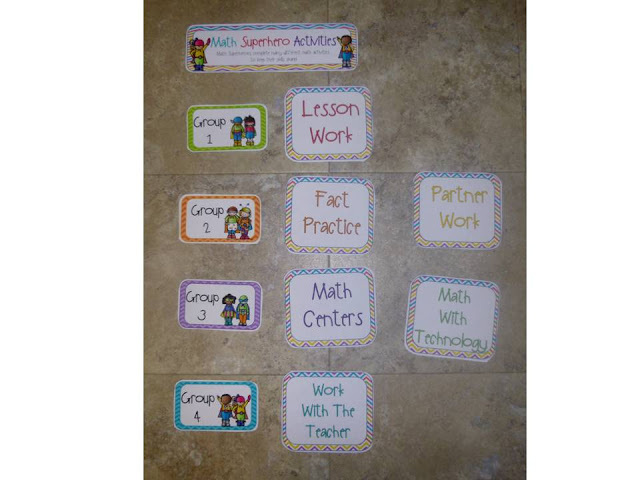 This is a handy dandy free resource from Mandy's tips for Teachers on setting up guided math groups. I made a math rotation board. I used my math superhero theme and made lots of different options even though I think I will be sticking with just work with teacher, math centers and lesson work. 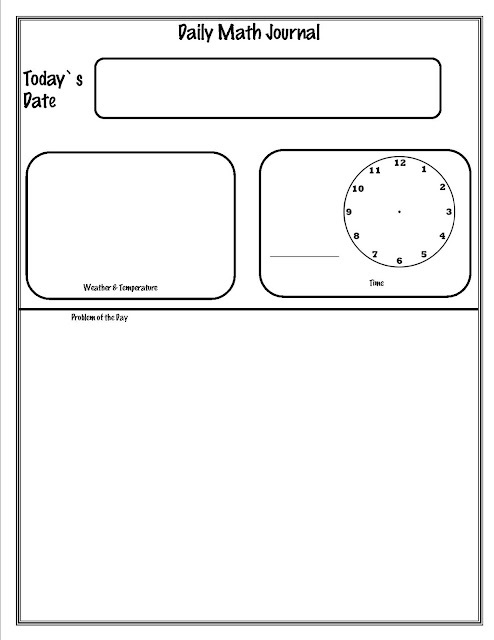 I print mine out on magnetic sheets so I can just post the board when I need it and then put it away to save room. Here is a picture of them on my floor (shockingly I do not have a white board at home :) ). I may buy a small white board that can hold this information (I also use magnets for my guided reading groups) and can be tucked away when not in use - still thinking on that. Click here for a copy. I know I will continue to focus on problem solving and inquiry based lessons. Here is a post I did with some links to videos and lessons for inquiry based lessons. 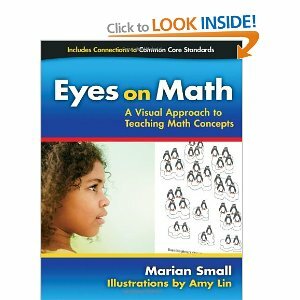 I will also be using this book from Marian Small. 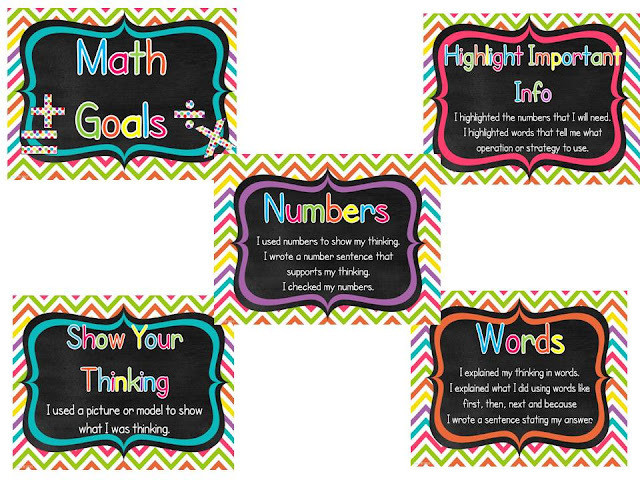 I have also made a math goal chart for my math board next year. I know learning goals should be co-created with the students and I will make a checklist on chart paper but I also wanted something more permanent to post as well. I made some that would be useful during problem solving or inquiry based lessons and then some for my first unit. I will be posting them using binder rings and hooks. You could also post them on a ribbon. I like the binder rings and hooks because I can easily take it down when I need more room or post them closer to the instruction area if I need to. Also it makes it really easy to change the goals for each unit or depending on what we need to work on. Click here to get a copy of the problem solving goals. I am so excited because I have hit 500 followers on Bloglovin. I would love to throw a giveaway to celebrate all of you - knowing that my posts my give someone a new idea or that my freebies are being used in different classrooms is always a thrill for me. The icing on the cake, reading your comments and making new connections! If you are interested in helping me celebrate and would like to donate something to the giveaway please fill out the form below. Thanks! Great post. It made me excited about math again. Thank you so much for the freebies! I can't wait to incorporate them into my classroom. The concerns you have about breakfast are totally legitimate. Kids don't just cram food in their mouth, and what if they need the bathroom after eating. I don't have any answers, as my school doesn't do breakfast that way. I love math rotations. You have quite a few stations! What a great way to mix things up. Our kids used to eat breakfast in our rooms, the only thing I hated about it was the mess. My kids were restricted to eating at a back table, and there was no talking aloud. They were to eat and then get to work on their morning work. It didn't take up too much time. The kids come in at 7:30 and school starts at 8, so they knew they had to have their breakfast gone by 8. Now those who cam in at 7:55 had until morning announcements were over. Good Luck! Thank you so much for sharing, can your kiddos eat and work at 9:15? My kids and I have a "working snack" each day. It takes them a few days to get into it, but it ends up saving a lot of time throughout the year. Just a thought! Congratulations on having 500 followers! I just filled out the form. My kids eat breakfast in the room. But not all of them, just the ones who buy it. And they eat it during that transition/arrival time in the morning. Kids can start coming into the room at 8:30 but school starts at 8:45. The worst is when it's 5 minutes before school starts and a kid decides they want breakfast. Ugh. But I usually make them clean up and move on when math starts. Thanks for the great post! I love your Math Learning Goals! Very nice! 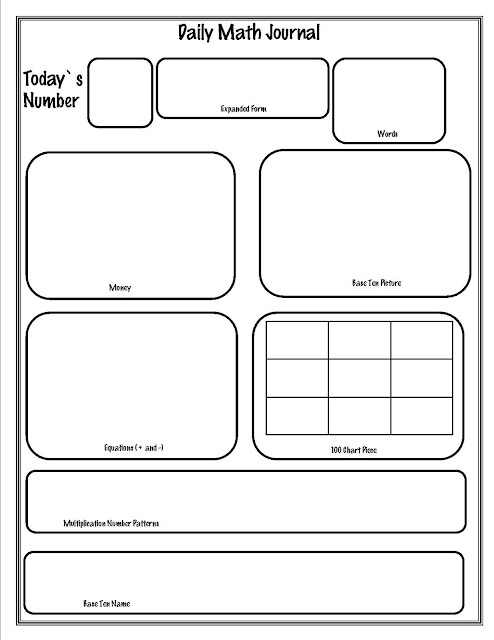 I also use Jennifer Runde's Interactive Math Journal resource and I love it! Eating during the National Anthem doesn't seem like the right thing to teach children. Ten minutes seems like a lofty goal. What about handwashing before/after? Cleaning up? And the actual eating! Good luck with your dilemma...you can see I don't have breakfast to worry about. But our snack time takes at least 15 minutes. That stinks that they have to have breakfast in the classroom. Could you have them working on the Rise and Shine binders/morning work while they're eating? I tend to do my calendar during snack time, so the kids can eat/participate at the same time without too much lost instructional time. I love your rotation board! We also have breakfast in the room.... I just require that they eat and work. Most of them can handle it! Thanks or linking up such great math resources!!! Thanks so much for the freebie! I love it and will use it this year for my math rotations. I think it'll work perfectly for what we do. I also filled out your form. Congrats on 500 followers! Congratulations!!! I would love to hear more about your math rotations, it sounds like something that I would want to try. Thanks for the downloads. I just found your site and I can't wait to explore it more. In a post from March of this year, you described your writing workshop folders. In the folders, you had a printable dictionary and thesaurus, both free resources found online. I was able to retrieve the dictionary, but the site where the thesaurus was housed is no longer active. You wouldn't be able to point me in another direction or have a digital copy you could send me, would you? Thanks so much! This is an awesome post. I am can't wait to read more about it. 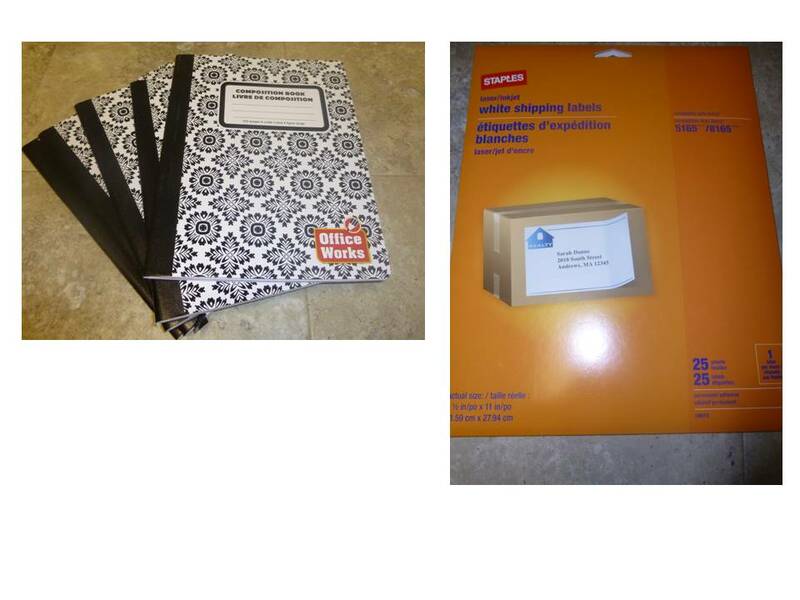 I plan to use interactive math notebooks also.